International observers cited flaws in Sunday’s (16 April) controversial referendum in Turkey, while European leaders urged reconciliation in a divided country and warned Ankara of its commitments on the death penalty. The vote, whose outcome was welcomed by Ankara’s ally Saudi Arabia, has major implications for the long-standing EU bid of Turkey, also a key NATO member. Narrowly won by President Recep Tayyip Erdoğan, the referendum asked voters to boost the powers of the Turkish head of state – a move that rights watchdogs have said could fatally weaken democracy in the linchpin country. “The referendum took place on an unlevel playing field and the two sides of the campaign did not have equal opportunities,” said Cezar Florin Preda of the joint mission of the OSCE Office for Democratic Institutions and Human Rights (ODIHR) and the Parliamentary Assembly of the Council of Europe (PACE). “The campaign rhetoric was tarnished by some officials equating ‘No’ sympathisers with terrorists,” added ODIHR mission head Tana de Zulueta. “We are awaiting the assessment of the OSCE/ODIHR International Observation Mission, also with regard to alleged irregularities,” the statement added. The statement was issued by European Commission head Jean-Claude Juncker, EU foreign affairs chief Federica Mogherini and EU Enlargement Commissioner Johannes Hahn. “The (German) government expects that the Turkish government will now seek respectful dialogue with all political and social forces in the country, after this tough election campaign,” said Chancellor Angela Merkel in a joint statement with Foreign Minister Sigmar Gabriel. France warned that if Turkey pushed ahead with a vote on restoring capital punishment, it would be a break with European values. “The organisation of a referendum on the death penalty would obviously be a break with (the) values and engagements” that Ankara accepted when joining the Council of Europe, the French president’s office said, referring to Europe’s top rights watchdog. Turkey is also seeking to join the EU, which has made clear that any restoration of the death penalty would scupper its accession hopes. Austrian leaders said the EU should end talks over Turkey’s 30-year-old bid to join its ranks. “With what happened yesterday, (Turkey’s) membership prospects are buried, in practical terms,” said Chancellor Christian Kern. 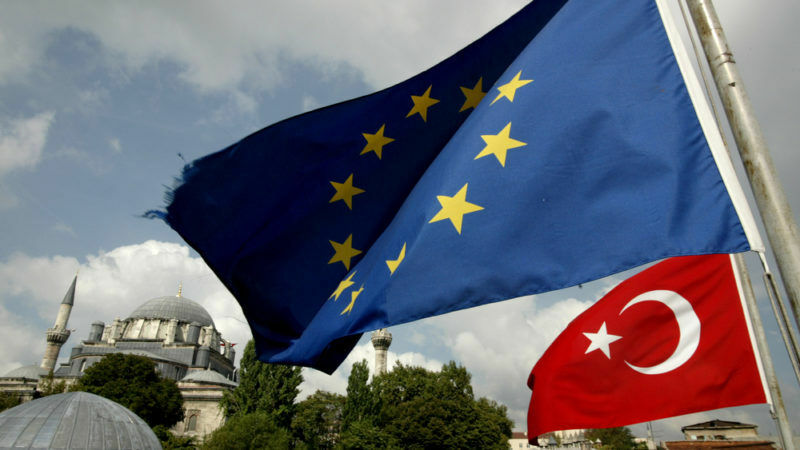 EU aid to Turkey to help it advance towards membership was now “obsolete,” he added. Foreign Minister Sebastian Kurz said the referendum meant “collaboration with the EU will be even more complex” and “we can no longer simply return to business as usual”. Thorbjorn Jagland, secretary-general of Europe’s top rights watchdog, said Turkish leaders “should consider the next steps carefully … in view of the close result”. The Council of Europe “stands ready to support the country in this process”, Jagland added. “This constitutional change concentrates too much power in the hands of one person,” Dutch Foreign Minister Bert Koenders said. “The European Union would have to keep a close eye on developments to follow,” Koenders added. In the European Parliament, calls for ending Turkey's EU accession talks gathered momentum after the referendum. The Socialists and Democrats (S&D) said “Erdoğan has closed his doors to the EU with this referendum. The EU accession talks should be suspended once Turkey decides to implement the 18 constitutional amendments. "We remain convinced that the majority of the Turkish citizens are still looking at democracy and rule of law as crucial benchmarks. Unfortunately, Erdoğan is increasingly turning Turkey into a personal authoritarian regime. Guy Verhofstadt, leader of the liberal ALDE group in the European Parliament, said in a statement: "We should stop accession talks with Turkey"
The only logical conclusion of this all is that the EU stops accession talks immediately and rethinks its relationship with Turkey." The European Conservatives and Reformists (ECR) group said Europe’s “strategic cooperation” with Turkey “must go on” despite “concerns” over the country’s political drift after the referendum. “Whatever our views on President Erdoğan being granted more executive power, Turkey remains a NATO member and a key strategic partner in addressing common challenges such as the threat of terrorism, stability in the Middle East as well as the refugee and migration crisis,” said , Syed Kamall, chair of the ECR group. “But this cooperation should not prevent us from being honest with Turkey, and with President Erdoğan. We will continue to express our concerns over the Turkish government's respect for liberal democracy, the rule of law and freedom of speech." The Greens called the referendum “a devastating blow to democracy in Turkey,” saying Erdoğan is “now on track to transform the country into a one-man authoritarian regime. “The EU must now make clear that it stands on the side of those who, despite intimidation and prosecution, have stood up for democracy. “Negotiations over the modernisation of the customs union must not be opened until Erdoğan has proven he is willing to make concessions and return to democracy."